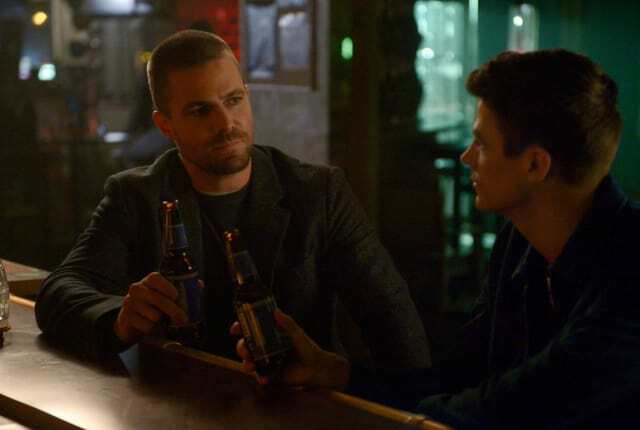 On Supergirl Season 4 Episode 9, Supergirl, Arrow and The Flash team up to save their reality from Deegan who has taken on the dark Superman persona. On Supergirl Season 4 Episode 9, Supergirl finds herself trapped in the pipeline in an alternate reality. Barry and Oliver no longer have their powers and are forced to confront Deegan, who has assumed the persona of dark Superman. Can they save their reality?